Has his work been contradicted by anyone? The answer would be a resounding… no. In fact, all that has happened over the last ten years is more and more confirmation that medical research has become worse. This is an incredibly worrying situation, yet very few people seem in the slightest bothered. The status quo remains in status. When new medical studies come out the press continue to regurgitate the findings as though they are unquestioned gospel. Experts have maintained their status as demi-gods, to be fawned upon as though their work is beyond any possible reproach. Guidelines, the ones that instruct doctors on how to treat various conditions, are still published without any provisos. Guidelines which are based on evidence that… ‘may often be simply accurate measures of the prevailing bias.’ But woe betide any doctor that fails to follow said guidelines, for they may well be struck off the medical register. In the US, you could end up in jail. All of these things are bad enough, and there are many other problems. However, in this blog, I want to focus on another issue. Namely, what about placebo controlled studies? Just to make it clear, for those who know a great deal about this area, I am not looking at the issue of ‘what the hell is in placebos anyway, cos it sure as hell ain’t inert substances.’ Whilst the fact that you cannot find out what manufacturers actually put in placebos, which should be inert ‘sugar pills’, but most certainly are not, is extremely important, that is an issue for another day. Here is the context. Once a treatment has been found to be superior to a placebo, it will be deemed unethical ever to carry out a placebo controlled study ever again. That may not mean much to many people, so I shall expand – using a concrete example (yes, statins again). If placebo controlled studies have shown that statins reduce the risk of heart disease, and for the sake of argument let us accept that this is true, where does this leave us? It leaves us in the position whereby, if anyone wanted to set up a study to try and disprove that statins are no better than placebo, they will never be given permission to do so. Why not? Well, before you are allowed to carry out a clinical study, you have to present it to an ethics committee. This committee will look at the proposal and decide if it is indeed ‘ethical.’ Exactly what this means is up for debate. However, if you decided to study the speed at which cars need to run into children, to result in a fifty per cent mortality rate, I imagine you would be turned down by the ethics committee. More prosaically, if you have found that statins reduce the risk of dying of heart disease vs placebo, then you will no longer be allowed to do a placebo controlled statin trial ever again. The reason for this is that you have already ‘proved’ that statins are superior to placebo. So it will argued that any volunteer placed in the placebo arm of your study would be suffering avoidable harm. Bong! Ethics committee says no. We know statins work, so it is unethical not to give them. The only studies the ethics committees will allow would be statins vs. statins and a new drug. Equally you would not be allowed to study a new drug vs. placebo, at least not for an indication where statins had shown a benefit. Because everyone ‘at risk’ should be on a statin already. Now, I have some sympathy for pharmaceutical companies in this situation. If statins reduced the risk of heart disease by 50% (made up figure), then any new drug can only provide an incremental benefit over statins – there is only 50% possible benefit left. So you need to study more people, over a longer period, to demonstrate superiority over statins. A higher hurdle than statins had to get over to be approved. So, no benefit at all. This study was immediately attacked by all the ‘experts’ and dismissed as being useless, not enough LDL lowering, not enough difference from standard care blah, blah. Nothing to see here, move along. However, I find it interesting that the only statin study which was not funded by the pharmaceutical industry was completely negative. You may even believe that this would give people pause for thought. If so, silly you. Where does this leave us though? Well, as already stated, you can never, ever, do another statin vs placebo study. For it would be unethical to do so. You can never do a cholesterol lowering study on any other drug vs placebo either, for it would be unethical to do so. If the statin trials were all correct and unbiased and without the slightest doubt attached to them….fine. If, however, these trials were simply accurate measures of the prevailing bias then we are completely screwed. This leaves us in a situation whereby if we test other drugs against statins, we are testing a drug against a drug that we cannot be certain has any benefits at all. So, what can we prove? Nothing. Which means that the very foundations of all future research in this area have been built on a bog. So, what can we do? Carry on believing that all the research done is correct and above any suspicion of bias and manipulation. If so, fine, but you may have trouble sleeping at night. If not, you are going to have to tear apart all of the research that has been done, and do it again. I think that makes the task of Hercules look pretty easy. This entry was posted in Cholesterol & Statins, Conflicts of Interest, Diet & Health, Doctoring Data on September 7, 2015 by Dr. Malcolm Kendrick. Isn’t a partial answer the hope that the medical authorities in, say, China or India will opt for trials vs placebo? Not perhaps for stuff as cheap as statins now, but at least for Pesky9, maybe? In other words, monopolistic arrangements in the West will need to be evaded by moving East. Go East, young man. God spare us, what a bloody disgrace. As someone who has had an “experience” with medication & not a very pleasant one, but still takes Eltroxin, BP reducers & lately steroids & immune system controllers for auto immune syndrome, I am inclined to say that the latter medication appears to be working for me as I deal with auto immune. Taking aspirin as a blood thinner gave me ulcers however, but more importantly I took a decision to stop statins some years ago. This decision was not taken lightly but my personal wellbeing is now so much better. My point is, I believe more of my prescription is beneficial than is not but I am open to our pursasion given my past experience. Also, people are living longer despite doubts about medicinal benefits. With an ever growing number of us Statin refusers (yes, I know that’s not a word, but you know what I mean) it should be very easy to find a group of people who can be the comparison study – mind, it could only be ‘blind’ to the researchers if somebody else was choosing the placebo arm, my preferred placebo would be Celtic Sea Salt! But I do feel, that as a growing number of informed and downright intelligent people reach the age where they are likely to be prescribed these dreadful drugs (think of all the numbers of around 40 years of age GPs, who have had to listen to people like me for the last 10 years, smiling benevolently) surely, one day enlightenment will occur! Did you see the dreadful piece in the Express this weekend – “Breakthrough, they just have to mill wheat differently and the Diabetes Epidemic will be no more.” Utter Garbage! Let’s just keep the processed food and pharmaceuticals bandwagon rolling on! Profits, profits, profits! I’m not yet a statin-refuser, but am a fully-fledged statin-talker-outer. I too am a statin refuser, but Malcolm’s writings have made me doubt the value of all these long term medical studies at a deeper level! The problem is that everything is so inter-related. For example, I have heard it said that those who take exercise, are more likely to suffer muscle damage from statins – that certainly corresponds with my experience. That would mean that statin refusers are likely to be in better physical condition than average for their age (I certainly hope that is true of me!). This is just one example of the complications that probably destroy the value of all such studies (even before the Big Pharma bias is added), unless they can demonstrate an overwhelming advantage for a particular drug or lifestyle. Think back ten years, when almost everyone assumed that saturated fat was deadly. This would mean that, at least back then, people who ate less fat would tend to be caring for themselves in other ways (such as taking more exercise) – so in a way, it is remarkable that this didn’t generate bogus evidence in favour of the hypothesis that people were healthier if they ate less saturated fat! Also, people don’t eat chemical nutriments in isolation, so for example you could take your saturated fat as bacon, or cream cakes, or nuts – so your intake of other things, such as sugar would obviously vary massively depending on your choice. I think medicine has got to become much more modest. Leave the well alone, and do what you can for those who are obviously ill, and stop preaching to us all! That’s the ideal David, it’s also the solution to the NHS crisis. Stop calling me, I’ll call you if I need you. The problem is empires have been built and they will go to any ends to defend them. The fundamental problem I have is show me incompetence once or lie to me once I will then question everything you do and everything you tell me. In all areas “settled science” is the enemy, I hasten to add “settled science” always seems to be the most lucrative and empowering. Starting to sound like a Spartacus tribute. What a great day it will be when Statin refuser makes it in the OE Dictionary. What makes you think that the fear of fat was 10 years ago? I’ve been with a group of highly intelligent people for a week and low fat was the way to go. Breakfast was cereal, skimmed milk, toast and jam (no butter even though it was available) and plenty of fruit – the ‘healthy option’. I was considered very odd as I cooked and ate an egg. Well said, Maureen! And thank you for yet more clarification on your Augean post, Dr Kendrick. I prefer to be a statin refusenik. The allusion to Stalin’s happy land seems germane to me. Actually it was also in the American Journal of Cardiovasc, Dis. Great analysis of the incredibly corruption in medicine! Again exactly my own view on these issues. What is then left of our trust in the society when we realise the obvious facts. The study seems well constructed, and, if right should have us all out there working out? Statins = difficulty in carrying out exericse due to muscle pains and general fatigue. Yes, Dr Kendrick, that’s certainly my experience, and it’s a downward slope, as the less exercise you do due to pain and fatigue, the less you are able to do, and so on and on until you suddenly feel much older and more infirm than you were previously. In fact the data base was” more than 20,000″ and the final study was 10,043. The grounds for exclusion were “inability to complete the test” one of which was “muscle-skeletal pain”. In spite of re-reading the article four times, I found no mention of how many of the exclusions were on statins. I could not agree more, Dr. Kendrick. It is like the law in the U.S. for murder. If you are found not guilty in a murder trial and later evidence arises that you are, in fact, guilty…you can never, ever be tried again. Look at all the murderers running loose in our society again…and there is not a damn thing anyone can do about it. So, it seems is the fate of statins. At least for the time. I have come to the conclusion that the task of any good doctor is to work yourself out of a job one patient at a time. That is my word for the day. Dr. Kendrick, I have learned more from you than any other person in my entire life. Sometimes, I don’t feel I will live to the ripe old age I had hoped. If I don’t, I will know why. Just for the record, I am donating my body to science fiction….huh, I mean science. Boy are they going to have fun with me!!! As usual, great post and one I did not even think about. I did not know this. Somehow, we all must carry on and while we can spread the news that other options are available. I hope I live to see things change for the better. I have seen progress in my speck in the universe and for that, I am glad I can offer some help! I can vouch for that 10 fold. So true, Dr Kendrick. One of my friends who very recently stopped taking statins after 17 years (mind boggling) used to love swimming and going to the gym a couple of times a week. Had to stop because of leg muscle pain and has difficulty walking. It will take him a long time to recover. Also feels absolutely awful for first 2 hours after getting up. Probably about to need to defend his decision to GP, the same GP who has managed to avoid accurately addressing the muscle pain issue when asked about it repeatedly over many years. Other friend who’s recently stopped has noticed that her acid reflux seems to have died down a lot, and she thought it was connected to her hiatus hernia, which it might be. I googled to find out if acid reflux could be a side effect of statins and it seems that it can be. Incredibly, found a site which mentions acid reflux as a possible side effect but carries on to extol the virtues of statins: – “However, just because statins may have lead to heartburn does not mean that you should disregard your doctor’s advice if he (or she) prescribes them. ……..but the facts are the facts: statins save lives.”. From Heartburn Headquarters. Is there no end to the amount of jumbled dangerous misinformation out there. Trying to do my bit to counter-act the propaganda by lending out a copy of your book about cholesterol, recommending folks buy it and make their own minds up. Meantime, continuing my education in these inconvenient facts so I can take more responsibility for my health and sticking to my rule of never going near a doctor unless I think there’s something serious going on. Which is how I’ve avoided having my cholestorol levels checked at age 62. If I’m ever asked I will just say ‘no, thanks’. Save the NHS some money in these hard pressed times. Enjoying your blogs and discussions very much indeed – many thanks. Pretty small test, only 37 participants, Dr Kendrick has taught me to be wary of such studies. Let’s assume that statins do nothing at all for all-cause mortality for now (I don’t care about any other endpoints). If a new drug is tested against statins with respect to all-cause mortality and does vastly better (say mortality goes down by 10x), wouldn’t that be a welcome finding – irrespective of whether statins actually do any good? Dr. Newman (strong promoter of NNT concept), once mentioned in one of his videos that the “Mediterranean” diet has an NNT of 30, wheres statins are in the 100s. If that is accepted fact, wouldn’t studies have to test new drugs against that? I mean, if the “M”-diet is vastly more effective than statins, wouldn’t it be unethical not to put all patients on it? Just think of those numbers, an NNT in the 100s! Would You take a painkiller with an NNT of 100 with plenty of nasty side-effects? Part II: great – again! But if you are right, how-do-they-do this? What I find particularly disturbing is the potential fate of doctors who choose to ignore the official guidelines. Risk being struck off in the UK. Risk going to prison in the USA. It’s bad news all round for everyone. There is no room for a doctor to use his own judgement, so what good would it be for the patient to try and persuade him of a fact he is not allowed to see? Celia, that is what it is coming to here in the USA. Nurses are running the show in hospitals, nursing homes, and clinics. Doctors are taking advantage of early retirement by the droves. There is no incentive for them to enter medical school. I can’t say I blame them. You cannot get an answer out of anyone anymore. The only time you can is if you happen to meet one you know personally and that is no way to run a medical practice. They are so frightened that one of their recommendations for medications is going to have some awful side effect that I don’t know how they sleep at night. I repeat. I really don’t blame the doctors. They have to follow guidelines and if they don’t as Dr. Kendrick said, they could end up in jail. You don’t know whether to zig or zag in medicine. Sad really! 1. The medical literature is so bad that even the critics, like Ioannides and Richard Horton’s editorial are wrong. Nobody refutes them, first, because they are not specific and do not name names. So, if half the literature is wrong, everybody assumes that they are in the good half and the other guys are wrong. More important, nobody refutes them because, they are confused about what science is. What is wrong with science is not that it has conclusions that are not true — you never know what is true until the problem is solved. What science is supposed to do is give you the best conclusion based on the evidence at hand and use appropriate methods. 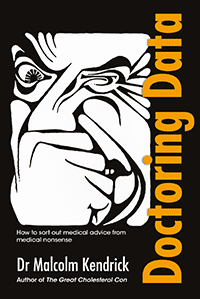 What is wrong with medicine is that it is using bad methods as brought out so well in Misguided Medicine, Great book, notwithstanding your occassionally using methods in one chapter that you deconstruct in the previous chapter (testing the reader). Reliance on group statistics and relative risk are the problems. Of course, another reason that Ioannides is not refuted is that he snowed everybody with the math which is flim-flam since it misses the point. 2. On statins, one of the first comparisons, the WOSCOPS trial is a classic example — used in statistics books such as Gigerenzer’s “Calculate Risk” — on how statistics is about interpretation. The benefit of statins in WOSCOPS was marginal and there was no way to say it was really beneficial or not. As other commenters said, there is the risk of side-effects which was not part of the original trial and should, as you suggest, should bing us back to some placebo controls. That ethics thing has bothered me for a while. It’s particularly annoying as I don’t believe whether or not I participate in a medical trial should be up to some dopey ethicist, it should be up to me. Provided of course, I’ve been fully appraised of and understand any potential risks. Excellent article, as usual, Dr. Kendrick. Did you ever see the following research article in 2000 – “There is a non-linear relationship between mortality and blood pressure” discrediting the conventional wisdom on what is a healthy blood pressure? I put it in front of a practicing “expert”. Plenty of ad hominem abuse followed. But I never got a rational counter argument. Brian, Thank you for the link – interesting. Since I am a severe sceptic to most of what the ‘medical guidelines’ advocates this also involves blood pressure. In fresh memory is the, hopefully, last cardiologist I met two years ago who was able stir my systolic blood pressure up to 140 measured while he was performing an ultrasonic scanning of my heart (by the way ‘perfect’) and while remarking that I was obviously ‘irritated’ on his attitudes towards my refusal to take any ‘heart medicines’. He was indeed very offensive and my wife who was present was really taken aback. By his ingenious provocative measures to raise my blood pressure (usually around 110 at rest) he didn’t have any problems prescribing medicine against my ‘high’ blood pressure together with four other ‘heart medicines’, following the ‘guide lines’ which he actually stressed, including statins, though not against my cholesterol values which seemed to be just ‘perfect’, though knowing that I wouldn’t ever touch any of the medicine. God! What manifest medical incompetence! Still, I read about a randomised trial that was carried out many years ago (1960th ?) on a small number of people (at a veteran hospital in the US ?) with extremely high blood pressures (typically 200). On top of my head I recall that it was about ten patients in each group where all in the treated group survived while most in the placebo group died. Reading about this trial it convinced me that it must be ‘a good idea’ to treat extremely high blood pressures telling me that such uncontrolled pressures reasonably is the actual cause of mortal events. This research article is in line with what used to be conventional wisdom. The guideline was 100 plus your age was a healthy upper limit pressure. Why? Because stiffening arteries raise blood pressure and aging arteries stiffen. It seems reasonable to rank blood pressure using one’s age group. The data seems to confirm this. It would seem most people being treated for high blood pressure do not need treatment. Surprised? Interesting article on blood pressure although I must confess I dont undestand all of it. Is it just a waste of time taking blood pressure meds? How else can you reduce it? Tried most things, diet, supplements etc. Meds work but I hate taking them not knowing what damage they are causing. Elevated blood pressure would seem to be a symptom not a disease. Reducing it would seem a distraction. But how do you find what the symptom is for when all the docs want to do is dish out meds. To lower blood pressure (systolic) by at least 25-30 points, get a nice dog. Worked for me, and I don’t even do the exercising. Thanks. I have a nice cat but no dog. Exercise isnt the problem. I walk for about 2 hours most days and go to circuit classes 3 to 4 times a week. Carol, haven’t you asked this question previously? Anyway, unless it’s exceptionally high, I believe it is a waste of time taking blood pressure medication and I turned it down after a discussion with my doctor where I provided evidence from Dr Kendrick’s articles on this subject. My systolic reading was 150 in the surgery. I had the distinct impression that my doctor agreed with my decision and she made not the slightest attempt to change my mind. NICE said she had to recommend it, so she did. My attitude is that there should be a very clear benefit from taking a drug before I’ll use it and there isn’t for Blood pressure medication. I really wonder what affect all these powerful and unproven drugs have on us? Of course they’re good for pharma. “It seemed from this very large, long-term study, that lowering mild/moderately raised blood pressure was of no benefit. Certainly not when you set it against billions of dollars it costs, and years of potential side-effects. I do remember thinking at the time. Well, that should cause a massive re-think in the whole area. But it did not. Not even slightly. This result was basically swept aside and ignored. Now, nine years later, we have another analysis showing that: “A new review has found that lowering blood pressure below the ‘standard’ target of 140/90 mm Hg is not beneficial in terms of reducing mortality or morbidity (July 2009). Carol, I think it’s clear that the medication is a waste of time. If you read the evidence and make the same decision, just put it behind you and stop fretting. I think you’re already using the medication, so you should no doubt take advice about the process of stopping, if you decide to do that. You know the easiest way to treat high blood pressure? Problem solved – you’re now no longer suffering from high blood pressure, and are therefore healthy and unlikely to suffer any of the other problems that high blood pressure “causes”. Carol, you’re welcome and I hope you find the advice useful. What kind of diet did you try? I personally believe that “high” blood pressure is caused/exacerbated by insulin resistance. Reduce your insulin resistance, you reduce your blood pressure. The best ways to do this are a low (very low in my case) carbohydrate diet and intermittent fasting. I’ve decreased my blood pressure by over 10 mm/Hg (Systolic) by doing these two things. However, I’ve also lost over 40 pounds, reduced my fasting blood sugar, and reduced my fasting insulin level, so causation is a bear to prove: is the reduction in blood pressure caused by the reduction in insulin resistance (indicated by the reduction in blood sugar and insulin) or is it caused by reduced weight or both? Most of the reduction came after I started using intermittent fasting (IF), but IF resulted in only about half the weight loss. That’s why I’m thinking it’s more reduction in insulin resistance than weight loss. I also never had “high” blood pressure to begin with: I started at about120/80 and am now somewhere at about 108/65 or so (blood pressure varies so much every day it’s hard to get a handle on it). Note that I have a condition called idiopathic dilated cardiomyopathy, and I’m taking an ACE inhibitor and a beta blocker, both of which reduce blood pressure (though that’s not why I’m taking them). I’ve reduced my blood pressure so much that I’ve had to cut back on the beta blocker, so my actual blood pressure went down even further. I’d love to get off the ACE inhibitor and beta blocker, but my cardiologist won’t let me, and I don’t have enough knowledge (haven’t read the studies yet, plan to though) to know what to do. It’s also a matter of time before he suggests a statin, and at least there I’ve read enough to know what choice I’d make (no statins). I believe you’re right Bob regarding low carb and IF. I would throw in as many vegetables or fruits that you can take without going over your carb limit. According to Dr. Richard Moore, author of “high blood pressure solution”, blood pressure is actually controlled by the sodium/potassium ratio. Most doctors tell you to cut down or cut out your salt intake but more important is increasing your potassium intake, which veggies and fruits are loaded with. Thanks Bob. I have been doing low carb for about a year and have lost over a stone. Sometimes I stray. Think I am just going to stop the meds and see what happens over a couple of weeks when I get back from holiday. Carol, I recently got off my blood pressure meds and actually lowered my blood pressure at the same time. Maybe you’ve already tried everything I did. However, I went low carb high fat, organic where possible, moderate meat and fish, lots of veg, few desserts, hardly any bread, multi vits, fish oils, vitamin D, magnesium and ubiquinone. Also a daily walk. I hope some of this may help. Thanks Celia, I already take the supplements you take and walk most days for one and a half hours and do circuit training. Did you stop the meds on your own or with your doctor? Did you just top them or did you wean yourself off them? Did you blood pressure go back to normal straight away after stopping or did it fluctuate? Sorry for all the questions. I suggest you try magnesium in the form of magnesium chloride dissolved in mineral water (too much cr#p in tap water) 50/50 by weight. It’ll take 24 hrs or so to dissolve after which just apply liberally to your skin and leave for approx. 20 mins for the magnesium to be absorbed, after which you may rinse the residue off. If it stings then just dilute to suit your skin but you’ll find that you’ll soon get used to it and be able to apply at full strength. This is the only practical way to absorb sufficient magnesium outside of a hospital environment as taking oral supplements at sufficient strength will result in you becoming very good friends with your loo (magnesium salts are often used to “clear” a patients’ bowel prior to camera up the bum!). You can buy, for silly money, prepared magnesium oil solutions but I find using magnesium flakes equally effective. You can buy magnesium flakes (Better You brand offers good value) from the Zechstein seabed at Holland and Barrett or direct from Better You (http://www.betteryou.com/magnesium-flakes). See articles by Dr Mark Sircus for more info or his book Transdermal Magnesium Therapy ISBN 978-1-4502-8354-0. My daughter’s doctor wanted to put her on BP lowering medication which she, thankfully, refused and instead she applied magnesium oil daily for 3 weeks after which she again saw her doctor who could not believe that her BP was completely normal (115/78) measuring it twice. Absolute proof that it works? No, but a firm indication. It would indicate that my daughters issue was low magnesium – address the cause and the symptom disappears. My daughter also noted that she was more relaxed and slept more soundly. Magnesium is severely deficient in the modern diet and I suspect the lack of it is responsible for many issues. Try it – costs very little and won’t harm you. Good luck! Thanks Barry. I have tried this but didnt work for me. Not sure it that is because I take meds. Ash, “cut an artery” is really useful advice to a worried lady with blood pressure who isn’t sure what to do. You are a curious mixture of intelligent, arrogant and contemptuous. I think he was just trying to make a bit of a joke. It may not have come out as intended. Thanks Stephen. I was a little upset about that remark. Carol, I’ve had to come to the conclusion that in my case, high blood pressure is just a consequence of being a soon to be post-menopausal female. I’m 52, get lots of cardio exercise (not excessive though), have BMI of 20 or so (without trying really), have very healthy diet (not HFLC though), and have what many here would consider a great blood lipid profile but my blood pressure insisted on creeping up to around 170/100. It got so high at one point that I was refused exercise testing and had to go for a kidney MRI instead (all clear, as was eventual exercise test and echocardio). Ten months later (and after trying a few different drugs) I’m now taking a really low dose of two drugs and seem to have an average daytime BP of about 125/85. I have scoured the Internet to find some good reason to come off the meds but it just isn’t there. Part of my problem was undoubtedly being scared witless by the thought of ending up like my dear Mum. She developed vascular dementia and this could partly have been due to her high BP not being diagnosed until she was well into her 60s. Once she started on medication it seemed like a slippery slope to me (especially as one of the drugs was a statin). I also reacted terribly to the first drug they put me on and I ended up in the chest pain clinic! Anyway, I have come to the conclusion that I have to accept the hand that I have been dealt and for me, that has helped. I’ve come to look on it in the same way as my asthma medication – a necessary evil. Another of Prof Kauffman’s “Malignant Medical Myths” (#4) shown to be a myth a claimed; and based on a flawed “linear” model. As I remember Dr K does not like “linear” models. Your blog is well timed. Your readers may already know that the BMJ is to report a new analysis this month of Study 329. This will be the first ever trial with two completely different takes on the same data. The new study, Restoring Study 329: Efficacy and harms of paroxetine and imipramine in the treatment of adolescent major depression: restoration of a randomised controlled trial, should shock all who care about integrity in drug safety. Study 329 resulted in a fine for GSK of three billion dollars. One can only hope that the lay press bring this to the attention of the public and make them realise what Big Pharma has been getting away with. This is disturbing to say the least. Great analysis! Of course as you stated you chose statins but it could have been any other drug category. Sad. I have a much bigger worry which although is not a pharmaceutical it fits into the same kind of mindset, that is GMO’s. I don’t want to take the focus off the pharmaceutical industry but GMO’s unlike medications, are something you cannot completely choose to avoid. Initially all studies were done by one corporation and they didn’t even allow anyone to look at the studies because of proprietary worries. Is it safe? (think Marathon man), personally I think no one will ever know, any problems cropping up can be attributed to something else. Any study finding problems is immediately trashed. Paid “scientists” give their “unbiased” opinion. Revolving door of government and corporations. It’s endless. Like I said I don’t want to take the focus off of the pharmaceutical industry but the comparison, in my opinion, is apt. This relates to my comments above about the near impossibility of getting meaningful results from statistical studies of large numbers of people when there are so many inter-related factors. When it comes to GMO’s, I am beginning to think the only answer is to ban them except perhaps if they are really needed for some reason. These things are only tolerated because we are told that there is no evidence that they cause harm, and once we stop trusting the research system, there is no reason to trust GMO’s! What we need is completely disinterested scientists. What we have is a system that has become so distorted by commerical interests/lobbying etc. that I agree. We really cannot trust the results anymore – from almost all areas of research. This is a bad place to be, and I do not know if the will is present to climb out of this deep pit. Unfortunately, I believe it will need something really, really, terrible to happen before the world wakes up. These products are sold on the “feed the world” ticket. The reality is they have no altruistic component whatsoever. It’s an ongoing attempt to cartelise all agribusiness. Our seeds or no seeds. The more you look into the GMO industry the more dirty it becomes. During the last five years I lost most of my confidence in what is proposed in the various medical fields as about heart disease, diabetics, mental illness and lately also about cancer. However I thought GMO was not an ‘issue’ relating to our health at all until about a year ago but was ‘shocked’ when I started to look into this business. My turnaround on the GMO’s was then so complete that I actually participated in the “March Against Monsanto” that took place in 600 cities around the world in May this year. I take no issue with careful select breeding of plant species and indeed companies making a profit for their efforts, where I do have a problem is when they splice genes together from totally different species, things that could never happen in nature. BSE (mad cow disease) cited as a disease, it wasn’t a disease in my opinion, we poisoned them by feeding the things that cows aren’t designed to eat. Eating GM food, the consequences may not appear for decades but could be horrendous. Read “Altered Genes, Twisted Truth” by Steven M.Drucker ISBN 978-0-9856169-0-8 – a real eye opener to the corrupt world of GMO. Bottom line stay healthy and avoid the need for doctoring at all costs! Worried Sick: How Vulnerable Are You Really to Heart Attack, Stroke or Breast Cancer? Americans are bombarded with messages announcing that death and danger are just around the corner. Reality is usually much different. Definitely a good article about real risk. Perhaps of particular interest to women who worry about minor lumps and breast cancer. Very helpful article on Worried Sick. Definitely worth reading. Along with the small risks of the various diseases, comes the small benefit of many drugs. The actual benefit of many commonly used potions, such as blood pressure drugs and Type II diabetes drugs — especially after one takes the side effects into consideration — is vanishingly small. Leaving aside the veracity of the science for a moment, since it seems we have little choice, what can we do. When the doctor says I think you should take this or that we should all insist on being told the absolute risk reduction and references for corroboration. In the first instance we might be surprised to find that the benefit is actually very small. You might then say, according to our own circumstances, “ah but doctor, I’ve stopped smoking, I retired and have very little stress, I now sleep like a top and I walk at least 2 miles every day, how has just changed the absolute risk adjustment of your proposed treatment?”. Don’t be surprised by a stunned silence in response. We should then ask for the expected side effects, again with corroborating references. In this case we might find that the doctor doesn’t actually know. If we are tempted to comply we should first check the references and any reviews of them before agreeing to take the treatment. If we decide to decline the treatment due absence of evidence then what right has the doctor to be indignant? How? By following the guidelines for a “healthy balanced diet” as trotted out by “experts”? I was OK until I was wrongly diagnosed as having had a heart attack. After that I have been treated with drugs and was following the “Diet of Death” as instructed. I now eat LCHF and have brought my blood glucose under control. I have also dumped the statins which caused me no end of problems – possibly including the T2 Diabetes. Another great article Malcolm. I have had 20 years of similar concerns regarding the medical profession and “mental illness”. I mentioned very similar findings about medical research in my first book Beyond Prozac, and the first edition of that was 14 years ago, so as you say this information is not new. From my “colleagues”, what I have received is 95% ostracisation and exclusion. That doesn’t bother me but it is revealing to see such reactions. It has repeatedly struck me that the greatest priority of groups – including groups of professionals – is often the propagation of its own position. In medicine, as far as i can see, this is frequently done under the guise of “it’s in the patient’s (or public) interest”. Thanks for explaining. God that’s depressing. I have been listening and reading about this whole cholesterol thing, and one thing I have figured out. Nobody knows what’s going on! They don’t know the cause of heart disease. IMO if you don’t know, don’t do anything at all, because there’s a chance of making it worse. So here’s what I am doing, I am going to do what I know works. Exercise doesn’t cause harm and eating good normal food does no harm. I won’t let them measure my cholesterol anymore, because they don’t know what is going on, and are too prideful to tell the truth. I just read this article in the GP with regard to NICE’s making a “U turn” on the current NICE statin guidelines. After reading it, I fully expected it to have been written by you. However, I am sure you know about it. Just in case, there t’is. Wasn’t this what I have been hearing you say for many years now? You have taught me, in fact, a lowly layperson, that other measures should be tried (diet exercise, etc) or other causes ruled out? Well, it looks like your hard work did pay off after all. Bully for you Malcolm!!! I think you deserve this credit more than anyone I can think of!!! A small victory that I may have played a small part in achieving. You sir are being modest and humble. We all know the truth. But, you have always given credit to your colleagues which is what you need to do to connect with those in a position to change things. Stick with your friends. It is working. Thank you Dr Kendrick. I particularly like the last sentence on involving the patient in a discussion of risks and benefits, and the decision being arrived at together. This is a really important aspect which I think has been lacking in the past. There was certainly no discussion when I was put on statins. I was just put on them and told they would be of benefit. Not good enough. I’ve sometimes wondered if, in America, doctors can sometimes come to view their patients as enemies. With our legal system, and standard of medical care, a doctor could come to believe through research that such and such medication or test doesn’t help and could even cause harm. He would fully know though that since the medication or test is part of the official standard of care, even explaining in detail, such as statins, to a patient the information he has proves statins will not help, might come back to haunt him. If the patient that was not prescribed statins has a heart attack, the doctor could be sued, and will be going against a large powerful industry of lawyers and experts charging $500 an hour from when the expert leaves the door till he returns home from the court house. For most doctors I imagine it is easier and safer to prescribe the medication or ask for the test to be done, even knowing it doesn’t help, costs a good amount, and might harm. I’ve often thought in the past for changes to our medical system to occur a new way to teaching medicine needs to be created. I don’t know how that would happen though! It could be similar to our grade school system. Those that have tried to reform and improve the current government schools tend to have short careers. Those that begin new and different schools have had greater success. Ironically I’ve learned recently that my brother in law has been hired to help create a new medical school at the University of Illinois. There won’t be shortages of doctors and big box hospitals in the future I imagine. Hope the new school does a better job creating doctors and addressing patients problems that past medical schools have. My hope is that genetic testing might become a more acceptable way of determining if some are predisposed to ill effects of many drugs, particularly statins. Apparently Boston science is boasting such testing and are making themselves look quite brilliant. In summary they supposedly tested 250,000 patients and found that 75% of them can metabolize statins well and are not as likely to suffer myopathy. That is a pretty smart move. If they can capture 75% of that market of those who meet your new guidelines, with the new statins, they will continue to make even more money off sons of statins. And, if they can talk anyone into taking them for primary prevention using this genetic test, they will make even more. And the positive thing is they don’t have to develop another drug. I am not convinced the information Boston Science has released is anything they could not have known by seeing all the results of post statin trials. Looking at the analyses of Big Pharma’s faulty math certainly does not prove they are effective at all. Simply advocating the use of genetic testing can only identify those most vulnerable to statin damage but not why and most importantly how they just don’t work. The good guys basically did their work for them or it was known all along during initial drug development stages that are hidden from the general medical community. Who knows? My guess is that they are holding out hope some people still look at cholesterol as public enemy number one even though if it were, we would be much farther down the road with regard to successful prevention and treatment as well as significant decreases in deaths from vascular disease. They will stop at nothing. I wonder how I would figure in such a test (not that I intend to ever take statins again), because for 3 years I had no easily discernible symptoms from Simvastatin (except perhaps in retrospect) before I was hit by severe muscle cramps. My case also illustrated the fact that the damage caused by Simvastatin occurred exclusively in the weakest part of my body (my polio leg), and could easily have been mistaken for something else (I think it likely that it would have spread if I had continued with the Simvastatin). In evaluating their genetic test, they should be aware of both possibilities. As it happened, I was able to confirm that the Simvastatin was responsible, but many in that situation might not. I carried on a short correspondence with Dr Ioannides when he first moved to Stanford. I suggested to him that we need a hermeneutics of science: a book on the rules of how to read and interpret science. He did not write back. Yet. He talks the talk. Will he walk the walk? Perhaps you have already prepared the trail for him or, more probably, blazed a path for him to follow. One can only hope so. It is difficult, however, to move from the position of general criticism to specific criticism. In so far as science uses statistical significance in accepting hypotheses or advocating treatment I only apply to myself those conclusions with a significance 0.1% < = p < 1%. Herb. Reminds of the recent faked up ‘eating chocolate helps you to lose weight scam.’ Though this was deliberately done to demonstrate how rubbish the entire scientific publishing enterprise has become. One then must imagine how easy it is for a massive pharmaceutical company, using thousands of employees, to scam a journal. The answer is, very very easy. It is why I use very few references nowadays. What is the point of referencing anything when you cannot really trust what the researchers found? What is the point of peer review when it clearly a useless mechanism. I don’t know what percentage of medical research has to be biased and manipulated before the entire edifice is so rotten that it cannot be trusted – at all. 5%, 10%, 50%. Pluck your figure from the air. Personally I think it is difficult to exaggerate the dangers of where we are. I haven’t really looked at GMO foods, but I fear that I know what I will find if I really start looking. I remember when I thought of science as a sacred search for truth and I was taught that truth is one; it does not admit of multiplicities. That truth is light no matter from which lamp it shines. Then I learned that to ignore truth was one thing, but to attack truth by distorting it turns light to fire. We have, indeed, a conflagration unprecedented sweeping the face of science. You must keep up your efforts to let the light of truth shine. Who else is there? There are others out there as well, of course. You keep bashing away and, hopefully, the world wakes up and takes notice. GMO. Have fun making your way past all the worriers’ propaganda. In reality, “genetic modification” in the form of selective breeding, has been going on for centuries. Yes, there are some concerns about genetic engineering. But there is also much good that can come of it. . . I’ll stop now because you haven’t posted your thoughts yet. As you can tell, I’m pretty much a non-worrier. I have tended towards non-worrying. However, a number of people I respect have turned from non-worriers to worriers recently. As I said I do not feel I know enough to make any sensible contribution to the debate. I suppose my greatest concern is the things that surround GMO. The pesticides and suchlike. We may be worrying about GMO itself whilst getting blindsided to the real dangers. You certainly started the journey of ‘distrust’ before I embarked but I think that I have made a faster ride downhill. What I fear is probably the same as you fear yourself and that is to loose even more trust in ‘established’ science together with the hope of being able to reverse the present trend in ‘academia’ which seems to be to abandon ‘true science’. Those who still advocate such science, to produce maps which accurately correspond to the real world, within this establishment most probably ends up as Galileo did at the time when all this natural science started. Medicine is one important factor in our society and it surely hurt me to loose all my confidence in this branch of ‘science’ but agriculture is still of another order of magnitude and if you don’t keep away from this area you might, as me, end up on the streets ‘Marching Against Monsanto’ because you start ‘fuming’ as I did about a year ago. Yes, pesticides (and herbicides) have always been a concern. There are two realities: 1) some form of control of insects and weeds is necessary if farmers are going to feed more people than just themselves and their horses, and 2) “organic” rarely means “free of all herbicides and pesticide,” in spite of what one is led to believe. One of the advantages of genetically engineered plants is that they can require less use of such things. Modern agriculture is more “green” in many respects. Greater crop yield can be achieved with less seed, less fertilizer, fewer chemicals and less water. Planting, watering, and harvesting machinery is equipped with GPS and computers that identify more and less productive places in the fields. Planting, fertilizing, watering, etc., can then be adjusted to what’s needed and no more. Part of this picture is often genetically engineered plants. We need open scientific discussion between the worriers and the non-worriers about the possible risks as well as the contributions of current developments. At the moment, I think there’s a lot more heat than light being generated some anti-GMO activists, a fair number of whom probably don’t know what the letters “GMO” stand for, but who consider the banishment of GMO agriculture and products in an area/a state/a country to be a great victory. i think what revolts people about Monsanto is their greed and avarice and the controls they put on farmers. Rather similar to Big Pharma and the Anti Tobacco Industry and other Industries without morals. Respect and trust evaporates! What you say was roughly my own view on this issue until about a year ago but as far as I have understood it today most of it is actually just not true but rather a ‘sales pitch’ for the gigantic agro-industry. One of the best overview on the GMO-issue, in my opinion, as an old researcher in the natural sciences, has actually been performed by a lawyer, Steven Druker, who wrote a very serious book about it – no quackery to me! “Altered Genes, Twisted Truth: How the Venture to Genetically Engineer Our Food Has Subverted Science, Corrupted Government, and Systematically Deceived the Public”. This lawyer impresses on me but evidently not on the agro-industry. And I suggest that you should not read the book if you want to preserve your sound sleep! 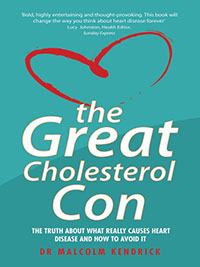 What we today have learnt, not least through Dr. Kendrick, about the way we have been deceived by the statin businessmen is, in my present rather dystopic ‘worldview’, in comparison with what the GMO-businessmen have been up to, during the same period of time, pure ‘kindergarten’ and to say the least very shaky insights have emerged in my consciousness. Do you think there is a way to return to my previous innocence and trust in the good intentions of the medical and agro-industry I had about 15 years ago? It is not good to lose ‘all hope’ of a better world. Please convince me that there is a way of return. Dr Kendrick if you really looked into GMO foods you would find a horror story starring Monsanto in their efforts to take over the world and destroy anyone in their path. Very nasty and very dirty. Well, I usually just find people acting like people. I am willing to bet that most people who work for Monsanto are perfectly nice and kind, and will firmly believe that they are doing good for the world by helping to create resistanct crops etc. The problems seem to happen at a corporate level where the ‘organisation’ starts to act like a psychopath, and those working for the organisaiton feel powerless to stop bad things happening. Then they start to play the most dangerous game of all – self deception/justification. I find this all very interesting. The amazing ability of an organistion/group/coutry/market/company to develop into a kind of supra-corporeal being. Being made up entirely of human beings, yet having an identity and purpose that operates beyond the control of any individual. How does one explain such a phenomemon. Usually described as ‘group-think’ which doesn’t explain very much. But since it must have an origin then it will be by reinforcement of a ‘culture’ often not in an overt manner, so people following the unspoken rules will advance in the company while others will not – learning these rules of advancement (greasy-pole climbing methodology) being a the way to ‘get on’. Hence this is not the behaviour of a non-human entity – ‘the company’ – but that of those who have made it up the greasy-pole and are protecting their meal ticket. The explanation is thus ‘fear and greed’, the fear of those trying to stay within the boundaries of the unwritten rules and the greed of those who have no concept of ‘enough’. I really like your latest ‘deep’ ‘philosophical’ thoughts of today about this GMO-issue and how corporates are able to line up the minds of their employees and making them behave like ‘zombies’ in the interest of their corporation. As you I believe in science which to me basically means the connection between cause and effect. As an employee at a reasonably high level in a corporation, I therefor guess, you don’t have any choice but to buy in on the ‘business idea’ of the corporation you belong to, be it about ‘inferior’ people to be exterminated in a 1930 German Nazi camp or about the benefits with pesticides for the world as in the present day Monsanto corporation. If you cannot deceive yourself to ‘cooperate’ you probably commit ‘suicide’ in one way or another if you don’t have the ability to leave the corporation to work for something you believe in and at the same time make a living for yourself and your family. Today I met with a ‘nice’ person who as myself had serious heart problems but contrary to me he had bought in on all what is suggested by ‘health care’ – he was in a ‘shaky’ state but still alive. We had an interesting discussion when I told him I had refused almost everything offered 16 years ago but was still ‘fit for fight’ today and during the discussion it turned out that he had been working for a huge pharmaceutical corporation all his life. He was fully aware of the impossibility to work within such a corporation and at the same time nurture any disbelieves in the basic business ideas. I recommend that you read Altered Genes, Twisted Truth by Steven M.Drucker ISBN 9780985616908 for in-depth coverage of GMO from the early days to now. It is truly horrifying. The deceit and corruption is as bad as anything in the pharmaceutical industry. GMO’s are pure poison driven by greed and corruption through all levels from research to (supposed) governmental oversight. At the moment we can, in the UK, decide not to take any particular drug but with the insidious use of GM “foods” in our food supply we do not have a choice (witness the huge opposition to GM labeling by the industry in the US). I fear for the future health of us all. Impossible to link illness directly to GMO because realistic studies are non existent and the GRAS rule is applied meaning that no study need be done. Anyone you thinks that GMO is even remotely safe needs to wake up and realize that they are a victim of industry and government propaganda and lies. Jeffrey Smiths Genetic Roulette ISBN 9780972966528 is also worth reading. ” How does one explain such a phenomemon.” I think in it’s most simplistic terms the entity, in it’s entirety, perceives that it’s wellbeing and income depend on supporting it. I thought this an interesting article from a few weeks ago. The Forbes articles gives some theories why the very high rate of FDA approval of late. Maybe true, maybe no. I personally suspect politics to be involved with the new ACA but don’t have anything to back that up. More of a wild guess. Saw a couple times health care workers complaining over some of the approvals, with a mention along the lines that placebos did as well agains the medication for a woman’s viagra. Rather disappointing, in more ways than one I suppose. Isn’t one of the benefits of GMO a reduction in the use of pesticides? I try to keep an open mind on this subject. Some of the early objectors seemed shrill and almost anti-reason, but the problem is a lack of trust in authorities who tell us that fat causes heart disease, that we should take statins and BP medication, and that diabetics should eat carbohydrates. How much harm has all that done? We decide this is all nonsense and it leaves us questioning everything. Stephen, I hope you’ll have a chance to read my earlier comment. Yes. Reduction in use of pesticides and other things as well. Mind you, I put Monsanto right up there with Pfizer in the “good scout” department. I’m sure there are all sorts of things rotten in Denmark — or wherever — with both operations. But there is so much potential for good with this genetic engineering thing that I find it unfortunate that these “objectors” are so intent on nothing less than destroying the whole thing. I think one problem regarding GMO’s is that there seems to be a rather naive sense that once GMO’s are proven safe, the problem goes away. In reality, obviously, every GMO requires its own stringent testing. The problem is the way things scale up. When computers filled a room and had negligible storage or speed, talk of viruses would have been laughable – but not now. By analogy, think of the potential danger when gene splicing becomes so easy that new types of GMO’s are coming out every week! I fear that you may be taking too rosy a view of the pitfalls that may arise in the creation of GMOs by gene slicing across phyla. We are still discovering the action of many of the genes in the human genome, how they express and under what conditions they do so, let alone how the genes in the plants to be ‘Modified’ create foodstuff that some, but not necessarily all, of us are evolutionarily adapted to metabolise. Tinkering, for that is what it is, with the genetic blueprint of plants that will then (e.g. TTIP) end up unannounced in the food you eat, can not be guaranteed to be free of unintended consequences. Doubtless the small print of the patent will make no claim as to the safety of the ‘novel’ foodstuff when you eat it, but wax lyrical about the benefits to the farmer or food processor. Thank you, Kay. I have read your earlier comments. What do you see as the potential benefits? Reductions of pesticide use are often touted as being one of the benefits of GMOs, but GMO’s are routinely created so farmers can use more herbicides to kill weeds and leave the herbicide resistant crop untouched. This is obviously not what we were hoping for from GMOs. Also, much of the pesticide reducing plants work by producing a pesticide internally themselves. At least with an applied pesticide, you can wash it off, but it it’s produced systemically by the plant, well you’d better hope it’s safe for humans to consume. Not that there aren’t any relatively safe ones, I mean caffeine is used as pesticide and I consume a lot of that. If the farmers are using more herbicides then surely there will be more residue of this left in the GMO herbicide resistant crop. I do not know how beneficial Roundup,etc., are to the human body when these crops are eaten. Kay, you sound like you work for Monsanto. Celie, not sure if that is an insult or not? Stephen, Monsanto would have you believe you need less pesticides with GMOs. The opposite is the truth. They are bred to be pesticide resistant, and subjected to huge amounts, which then become part of what we eat. You might be interested to find out the position of the Organic Consumers Association. It’s an eye opener. Dr Kendrick, my comment to Kay was certainly not intended as an insult. However, I did not know what else to make of some of her comments. Stephen and Celia. Me again. Celia, I’m guessing you mean “herbicide resistant”? I’m sure Monsanto and others have developed pesticides, too, but the Roundup ready plants are resistant to herbicides (weed killers) that kill all weeds, but don’t kill the resistant plants. 4) There’s probably a “tipping point,” where even a resistant plant could be overwhelmed, so a huge amount would be to nobody’s advantage. I’m sure a lot of the chemicals — new and old, organic and non-organic — used in food production find their way into our foods in some amounts. Getting unbiased information on this might be difficult. Spot on Kay. It’s the Glyphosate that is now even found in whales! It is an antibiotic. People eating everything up and down the foodchain of genetically modified roundup ready crops, are ingesting Glyphosate. Over time, our immune systems might be at risk – this seems the case in animal tests. This is one of the best reasons to avoid commercial foods. In the UK they are in masses of stuff and there is no GM labelling here. Its the roundup that’s the problem – the world’s favourite weed killer. Ah, not so much. They are using much more pesticide now with crops that are modified to withstand it. Kay, yes, I did intend to say Herbicide. Why should anyone need to sow “Roundup Ready” seeds if they farmed with healthy methods, caring for the soil? It seems that in the US GM crops are modified to be resistant to weed killers (roundup) but the weeds have followed suit so greater amounts of weed killer are used to the point where both crops and weeds are massively resistant. Oh, yes, thelastfurlong and Dr. Gören. I have no love affair with Monsanto or Big Pharma or anyone else in that group. I’m aware that Monsanto will go down heavily on a farmer who uses some of last year’s crop for seed the next year Unlike some “worrier” who claimed that resulting corn from a year’s crop is “dead,” it is very much alive and grows just fine, complete with its Roundup Ready characteristics. But it’s patented, so it’s illegal to use the seed the next year. I also know that a few months ago, many flyers were mailed and circlated bad-mouthing a similar company, and asking for support in keeping that company from expanding. Since I knew nothing about the company, I googled it and learned that it was a competitor of Monsanto. The source of those flyers was suddenly clear. There are some scary things about having an outfit like that poised to control so much. You’ll get no argument from me there. I’m not sure about the “sales pitch” idea. It would be hard to convince the farmers who use the new products that they are fake. Fields that have been planted with crops that are resistant to a particular herbicide, and then sprayed at a critical time with that herbicide, will be clean as whistle and stay that way. That’s pretty hard to fake. How do you return to your previous innocence and trust in the good itentions of the medical and agro-industry? I’d suggest that the fact that you know about these things now and didn’t didn’t know about them before doesn’t change the fact that they existed before. You just didn’t know about them. So control what you can control, use your new knowledge to advantage when you can, and remember that there are still many people in both medicine and farming who are very good people. This will raise your blood pressure. It’s the usual fear mongering stuff, and the risks are relative risks. I’d love to see the actual risks. I notice that 28% of participants in the study were over 75, which means some were in their 80s probably. Can you imagine otherwise healthy people over 80 being put on medication to lower their B.P., and the untoward effects of that? Reminds me of my mom in law who at 95 was prescribed a beta blocker for her very high B.P., she felt awful and started falling and had the good sense to take herself off it. Also off the low fat diet the doctor had advised, she missed her cheese and bread and butter and bacon. She lived another 8 years on no meds at all. When she was 100 she was knocked over by the dog as she was putting his food bowl down, we took her to the hospital as she fell heavily and was complaining of arm pain. No breaks, nothing, and of course her B.P was the usual 230 systolic, which the E.R. doctor, bless him, widened his eyes at, but said “well, she’s obviously doing ok, we’ll leave that alone”. That is quite outrageous but true! Maureen H: Three cheers for your Mom, and three more for the ER doctor! The name “Genetic Engineered Food” tells more adequately what it is all about instead of the more ‘innocent’ and in my eyes rather nonsensical GMO, Genetically Modified Organism, since all living higher order individuals are just GMO. No wonder that Big Agro opted for GMO after much ‘head scratching’ and a lot of PR involvement. Steven Druker tells in detail in his book (linked to in my earlier post) about the political turns to deceive the public about the ‘innocence’ of this unnatural technology and which earlier was completely unknown to man. To me there is a strong ‘statin smell’ about this! But what really turned my mind on this GMO-issue was when I read the ‘horror’ story about what happened to the very well renowned researcher on food toxicity, Arpad Pusztai at the Rowett Research Institute i Scotland 1998 when all this GMO was in its infancy. I guess that you have never heard about this researcher except perhaps when he was officially dishonoured in every possible way by the ‘establishment’ within a very short period of time. As me he was initially a ‘believer’ in the innocence of GMO but thought that it would not hurt to test what GMO-potato during long time feeding would do to the health of his lab rats in comparison when fed with the same non-GMO potato. He was chocked by the results on the health of his animals and when invited to participate in a Scottish TV-broadcast to tell about his finding he was encouraged to do so by his well informed boss and the head of the Rowett Research Institute. After having aired his findings he was in practice fired by the same boss within 48 hours and threatened by legal actions if he ever told more about his findings. If you don’t believe this to be true – please find out for yourself! You might as me find a very unpleasant Kafka world unfold in front of you if you dig into this. So stay away from digging is my advice if you want to preserve your innocence in the same way as reading “Doctoring Data” may make you lose your innocence about statins. I think the potato issue is still “hot”! (s’cuse the pun) Just like the new vaccinations issue is. In the corridors of power and the realms of medical science, there is so much corruption, nowadays, we can’t believe anything. We should not. Everyone should dig! Innocence might feel good – but knowing is better, I think. Dr. Göran, it’s unfortunate that the politics surrounding the GMO potato-eating mice turned out the way they did. If it had been possible to repeat the experiment and see if the results were the same, the information would have ben valuable. When no-one does an experiment again which, in this case, you would think quite easy to do, I am suspicious. Why not do it again? I remember when French researchers claimed to have seen real benefits from homeopathy the establishment came down like a ton of bricks. Virtually stripped the lab clear, did the experiments again, brought in Randi? (the magician who offers a million dollar reward for anyone proving homeopathy works – or something of the sort). Yet, we have a guy who says that feeding rats GMO potatoes resulted in clear damage and…. nothing. No attempt the repeat the work. At least not as far as I am aware. I have the same problem with Wakefield’s work. Everyone says it was utterly appalling research (though it was published in the Lancet). Yet, again, no-one has made the slightest effort to duplicate it. Another ‘horror’ story about GMO and another serious but more recent research than that of Pusztai also told about the dangers with long time feeding on GMO-stuff – in this case it was about maize. It was performed by another renowned researcher Prof, Gilles-Eric Seralini but with a lab of his own in France so he could reasonably not be fired but stark establishment efforts were made to dishonour his research. Especially the company efforts were partly successful in forcing the withdrawal of his published finding but these efforts eventually failed – thanks God! The more I read about the GMO the more appalled I get and this reading has only been going on for a year now. If you want to lose your innocence keep digging otherwise don’t! To me, what this agro-business is up to is today ‘quackery’ in the highest potency. Here they join hand with the view I have got on the medical business. I WANT MY INNOCENCE BACK, PLEASE! Goran, I’m afraid I’ve already lost my innocence. I feel sad about the truth of the world we live in, but I think we owe it to ourselves and everyone else to keep digging. I very much respect your contributions to this blog. Seeking for truth has to be worthwhile. Please keep on digging. I read about an experiment they recently carried out on ONE Swedish family. Yeah! Just ONE family and this is of course NOTHING in our anecdotical world. They measured the amount of pesticides they carried when eating ‘normal’ non-organic food and found significant amounts of five different pesticides which according to the advocates of the ‘normal’ agro-business not possibly could enter into their bodies. They then made the family tall switch to all ‘organic’ and whoops! – almost non of these pesticides were any longer possible to detect. But why worry about some pesticides in your body in this world full of worries if you cannot actually prove that you health get ruined or you get obese? And is it not disgusting that the organic food business is making money on what they offer to an innocent market – or is it an actually a non-innocent market they are now addressing? Anyway, the sales increase of organic is staggering today – up 30 % in Sweden just during the last year and now I am myself one of these ‘stupid’ guys ‘losing’ my money on this stuff when I am at all able to put my hands on it. More often than not the organic shelves are just empty. What a deceived world we are living in! I even own a Macbook lap-top! One of the tactics the industry uses to hold and increase market share is to cause people to worry, to be afraid of non-organic foods and products. Chief among these fearsome non-organic foods and products at the moment are things that might contain GMOs. The article below might be an eye opener for some. Near the bottom of the article is a list of the real owners of some “organic” products. Yes, we need to learn all we can about genetic engineering and what effect it might or might not have on our foods. Yes, we need to learn all we can about new pesticides and herbicides that are being developed. (It probably wouldn’t hurt to know more about the “tried and true” and “natural” ones as well.) But, as with everything else, we need to ask questions. Is this information based on any kind of research? Is it good science? Who conducted the research and why? Who/what organization is behind the research/publication? How might the information be biased? There are others who know more about developments and ideas than I, but I’d certainly say that an on-going benefit would be the fact that greater yields can be achieved with less “draw” on natural resources. Something that doesn’t get much attention — I’m talking in general terms; not about this blog — is the alarming rate at which huge chunks of the most productive land is being permanently taken out of production, much of it for enormous warehouses and shopping facilities. There is also an increasing tendency for government to control water availability, not only in the traditionally dry areas, but in places where water has always been abundant. The ability to raise more grain on less land with less water available might very well come in handy in the future. The development of crops that can thrive in adverse conditions is another potential. Someone told me of work being done on a strain of corn that could simply go dormant when water got scarce, and green up again when water was available. I don’t know if that has materialized or not. My recollection — which might or might not be accurate — is that the blight is still very much a problem, kept at bay only by repeated applications of chemicals. Thank you, Kay. I think all claims from vested interests should have to be independently tested. It’s the only way to restore confidence. It’s exactly why we have governments. We’re left with science funders getting the ‘science’ that suits them. Carol, I weaned myself off the blood pressure meds very slowly, keeping a daily check to see if I was going too fast. It took a year of gradual reduction and I only confessed to my doctor when I knew I could maintain my new levels and show him the proof. Good luck. Thanks Celia, I am on two meds. Have started breaking one of them in half and will see how I go. Hopefully I can be as successful as you. Carol, lots of people here trying to help you without, unfortunately, any success. I’m going to chuck in a wild card here. You may like to give (if you haven’t already) l-citrulline a go. It’s available in pure form (expensive pills) from many sources and also as citrulline malate (malate improves stability in storage) from many websites selling bodybuilding/fitness supplements (My Protein is one such site – no connection with them). The bottom line is that it increases your level of nitric oxide, which is a vascular dilator. Typical doses are 1.5 to 3 grams per day (split over the day) but it is regarded as very safe. You may wish to check with your doctor to ensure that it doesn’t interact with any of your meds and as to what is considered an appropriate dose to start with. You can find plenty of information on the web – here’s a link to one http://www.webmd.com/vitamins-supplements/ingredientmono-1245-l-citrulline.aspx?activeingredientid=1245&activeingredientname=l-citrulline. Thanks Barry. Is the same as L-arginine. I take 300 mg of this. Don’t worry, Celia. I’ve never had any dealings one way or another with Monsanto. 🙂 I do try to present a more balanced look at the whole subject of “GMOs.” I’m sure there are scientists who have honest concerns about genetic engineering, and I would be glad to hear what they have to say. But so much of the anti-gmo picture is just a hysterical mob scene, and it spreads like wildfire through the internet. It’s thousands of people who spout dire things without having a clue about the facts, and thousands more who believe them unconditionally. Case in point: One of the things that circulated on Facebook some time ago was a pair of photos of corn (maize) alleged to be seed corn. In the photo on the left, the corn was a flawless yellow. In the one on the right, it was a ghastly bright blue. The caption read something like “which would you rather plant for your food?” I don’t remember whether Monsanto was mentioned, or if the blue corn was simply identified as “GMO.” Whatever. I don’t know what color Monsanto seed corn is, but that blue is not the “poison.” Seed corn has been treated for DECADES to prevent the seed from rotting or going moldy in the ground if cool and/or wet weather prevents the seed from germinating right away. Treated seed corn is often colored to alert farmers so they don’t inadvertengly feed the corn to livestock (expensisve! ), and to discourage birds from eating what might fall outside the furrow during planting. Whatever the source of the blue corn, that blue is most likely some harmless coloring. Sometimes, anti-GMO activism even takes the form of vandalism, of destruction and burning of research projects and research buildings — something that’s been going on for at least fifteen years. Much of this seems to be driven by something other than rational concerns founded on research. I hope you’ve had a chance to look at my comment about the whole “organic” thing. Organic, as we often think of it — food produced with minimal or no chemicals, on land that provides rich nourishment for the plants; animals that graze on green pastures, etc. — is still a good thing, and there are many who strive to achieve it as they can. But “Organic” today — the “organic” that is driving much of the anti-gmo sentiment — is not about good clean nourishing food. It’s another beast entirely. If you haven’t read my comment on that subject, please take a look. Kay, you and I are obviously looking at different websites. What I am reading is not at all as you describe. I don’t think it’s the organic movement driving the fear of GMOs. I think it’s fear of the potential harms linked to GMOs that is building the switch over to Organics. People want to know that what they are eating is safe for them, and particularly for their children. I have noticed that some very large organizations have been buying up organic businesses in an attempt to “Green” themselves. However, I don’t think Organics are the problem, just the drive for more and more profits by huge corporations. In today’s Times Dr Mark Porter tells us that we need to reduce our salt intake to help blood pressure. I thought Canadian research had well and truly finished this off and even the draft American guidelines have acknowledged that low salt is linked to increased mortality. Dr Porter talked about diet and exercise but still recommended medication to reduce blood pressure, even though he admitted there was no evidence (after many years) that reducing a number made any difference. Shouldn’t the precautionary principle apply to drugs? No drugs without clear proof of benefit? How much money and reduction in side effects would that save? I understand one person in 12 suffers side effects from BP medication and they can be unpleasant as my brother discovered. After some research in the U.S. it seems there is again a view that the guideline BP number should be reduced and catch even more people in the drugs net. I wonder who funded that research? What was normal is now ‘high’. I wonder when we’ll get to the point when almost no one is ‘normal’ and we can nearly all be defined as ‘high’. I think this is the path we went down with cholesterol. I’ve just had my morning salt drink, as recommended by Dr Volek and Dr Phinney, followed by cream with my breakfast. Hi Stephen, what do you use the salt drink for and how do you take it. According to Richard Moore author of “High blood pressure solution “, much more important than lowering salt intake is increasing potassium. This keeps the proper sodium /potassium ratio in cell. Of course all fruits n veggies are loaded with potassium and low in sodium. Hello Carol, I eat a low carb diet and that drops your insulin level and causes your kidneys to lose excess water and take a substantial amount of salt with it. So, according to Dr Volek and Dr Phinney, people eating less than 60 grams of carbohydrate a day need to add 2-3 grams of salt a day to their daily intake. As a guide, four grams is a teaspoon. I noticed that I felt better when I started taking salt. I shake roughly a gram into a cup, which is about ten shakes of the salt I buy. I then add a touch of diluted orange to remove the taste and half fill the cup with water and give it a stir. I drink a cup in the morning and another in the evening. Of course I could salt to my food but I’m not used to doing this and tend to forget, but seeing a cup in the fridge it reminds me and I don’t miss. As soon as I drink the salt in the morning, I refill for the evening and let the water chill. It takes seconds and you can’t taste a thing. I always take a drink before exercising. When I remember I also add some salt to my food. Volek and Phinney recommend consuming two ‘bouillon’ cubes a day with hot water, but I think my method is even easier. It’s just some salted water in the fridge. The issue is discussed on page 240 of ‘The Art and Science of Low Carbohydrate Living’ by Volek and Phinney. In places it’s probably a bit deep for a layman like me, but I’m glad I’ve read it and keep it for reference. It seems to be very well regarded in the low carb world. You and I are clearly on opposite sides of the tennis net, and that’s fine. Let’s keep talking. The publication of a study in 2010 showing that a glyphosate herbicide formulation and glyphosate alone caused malformations in the embryos of Xenopus laevis and chickens caused a scientific and political controversy. Debate centred on the effects of the production and consumption of genetically modified Roundup® Ready® soy, which is engineered to tolerate applications of glyphosate herbicide. This study, along with others indicating teratogenic and reproductive effects from glyphosate herbicide exposure, was rebutted by the German Federal Office for Consumer Protection and Food Safety, BVL, as well as in industry-sponsored papers. These rebuttals relied partly on unpublished industry-sponsored studies commissioned for regulatory purposes, which, it was claimed, showed that glyphosate is not teratogenic or a reproductive toxin. However, examination of the German authorities’ draft assessment report (DAR) on the industry studies, which underlies glyphosate’s EU authorisation, revealed further evidence of glyphosate’s teratogenicity. Nevertheless, the German and EU authorities minimized these findings in their assessment and set a potentially unsafe acceptable daily intake (ADI) level for glyphosate. This paper reviews the evidence on the teratogenicity and reproductive toxicity of glyphosate herbicides and concludes that a new and transparent risk assessment needs to be conducted by scientists who are independent of industry and of the regulatory bodies that were involved in the existing authorisation of glyphosate. Thank you for finding this link. It is really concerning, and I think it proves a point. This blog has, to me, been very interesting since serious concerns from us innocent participants with our ‘popular’ ‘non-scientific’ believes here met very confident views representing the ‘scientific’ claims of Big Ag, although anonymous. At the same time such representives deny any commercial connections with the same Big Ag and thus advocation their own ‘innocence’ on par with our own ‘under-dog’ attitudes. To me this is not anything new when I note extremely ‘competent’ academic people anonymously spend significant versed efforts on social media defending established ‘dogma’ in medicine. I have met several representing Big Pharma views on Swedish blogs where also full names have appeared and evidently to give the impression of playing with open cards. When pressing these guys on their ‘openness’ there is often a lot lot fumes coming up from the underground if they just not evaporate from the blog. Of course, anonymity is good when needed on Internet but I don’t understand why it should be necessary when you advocate official views. You don’t have anything to fear from the powerful by supporting them and attacking their adversaries, especially by ridiculing their opinions – on the contrary these guys may have benefits by doing it – why should they otherwise spend all this ‘high level’ energy? It seems like we are sliding away from the main ‘Herculean cleaning up task’ relating to corrupt medicine and now entering the realm of ‘corrupt’ agro-business be it traditional or organic. So, while we are ‘off the road’ I may trough in some more fuel on the fire. To me, there are two items related to food today; our own health and the environment. Since me and my wife have experienced tremendous health benefits by switching 180 degrees from the official nutrition advice and going strict LCHF we strongly believe that it matters what you put in your mouth contrary to what is evidently taught at medical schools and by the food industry. The other item is tremendously more far-reaching. It is about our survival in the future and if you are technologically optimistic, as I was myself about 30 years ago, you may be convinced that all environmental problems will be solved by technical innovations. But if you are inclined to ‘worrying’, which I have turned into due my experience at the emergency department 16 years ago, you may read books to fuel this worry by e.g. professor Jared Diamond who is addressing this issue in a wider context but still in a ‘well- behaved’ manner. When it comes to modern agriculture no sensible person would argue against the fact that this kind of agriculture is rapidly devastating the top soil properties, built up during thousands of years, and at the same time release tremendous amounts of carbon into the atmosphere which might make you worry if you are a inclined to worry about in the greenhouse effect (I doubt myself). But if you think the quality of the top soil is more important for the soil fertility and the ‘food quality’ and our future and it is important to restore this soil quality, which I do today, you may read the book “The Soil Will Save Us” by Kristin Ohlson. That book impressed on me anyway. She was of course not the first to venture this concern. There was a Japanese promising researcher in the field of pesticides who more than 40 years ago made a 180 degree turn in his carrier and returned to his native farm to practice ‘do-nothing’ agriculture. Masanobu Fukuoka was the name of this researcher and who actually knew what he was doing and he summarised his practical experiences in the book ”THE ONE-STRAW REVOLUTION”. However, this was not to the taste of Big Agro in Japan or elsewhere. And if you belong to the ‘worrying’ LCHF-community, like myself, you might even enjoy Alan Savory’s ideas about restoring the fertility of the soil by utilising intensive herding in a scientific way. Savory is also a guy who seems to know what he is practising. But if you don’t worry – why worry? Goran, thank you for the recommendations. I have just bought “The One Straw Revolution”, and will look up Kristin Olsen and Alan Savory. As you say, we have wandered off course, and yet all this is still important in terms of our health. It also highlights how our health can be highjacked by big business from various directions. Yes, we have strayed but it shows that many of us are very concerned about GMO’s (for those that haven’t read Steven Druker’s book the description GMO replaced GE as it was deemed to be less likely to result in an negative response from the public). Those that are not concerned should be. See this http://www.naturalnews.com/051184_Monsanto_money_Kevin_Folta_academic_corruption.html for an example of what we are up against. Many more no doubt. Celia, that’s a well written and much a much appreciated contribution. Sorry, I meant to address that comment to Kay. God to hear some balance to the argument. Study 329 has been released and shows the exact opposite of what was originally said. Apparently paxil is neither safe or effective for teenagers. I wonder if it will still be prescribed. Back to the Augean stables topic: I hadn’t seen this before. Or if I had, I don’t remember. Check out the very end, particularly. Dr. Kendrick, is there a way to delete a post? I posted the YouTube thing with Gwen Olsen and Mike Adams (about whom I knew nothing at the time). After reading more on Mike Adams, I wish I hadn’t posted the video. It’s still awaiting moderation. If possible, would you please delete it? Thank you.